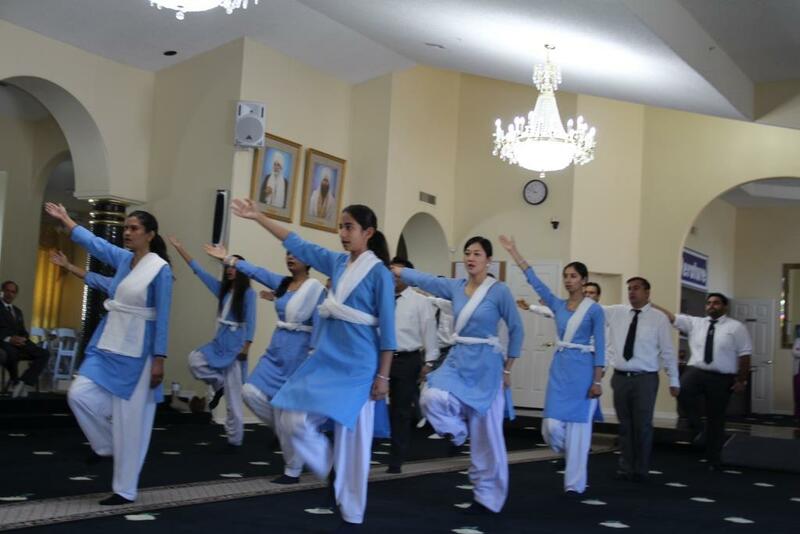 On the auspicious occasion of Guru Pooja Diwas, the Sant Nirankari Mission, Phoenix, AZ branch held a Sewa Dal Rally and Congregation on Sunday February 28, 2016. During the Sewa Dal Rally, Rev. Nandlal Tahiliani Ji (Pramukh Phoenix, AZ) stressed on the duty of the Sewa Dal to be able to discern right from wrong. He also reminded the Sewa Dal of the enormous responsibility they have when they are in Sewa Dal Uniform. Rev. Nandlal Ji said: "Sewadal was founded by Chacha Pratab Singh ji during the time of Baba Avtar Singh ji Maharaj. He had a very good experience of games and working out with sword and lathi etc. He was very brave person and dedicated all kinds of services to Satguru, in his life. He convinced Baba Avtar singh ji Maharaj , after showing all kinds of games and to have a security in our mission. First he established Sewa Dal in Delhi,India then he has to go to various cities to train Sewa Dal members. Sewadal is to serve Satguru and Sadh Sangat to dedicate all kinds of services, for the mission. Poojya Raj Mata ji when she was visited USA many years ago emphasized on the Sewa Dal. You all have to establish discipline in the mission as well, and be regular in Sangat as well." Saints also displayed their devotion and affection for the True Master through various songs, speeches and presentations during the congregation. The congregation started with a group song by the Phoenix Sangat Youth. The young saints sang "Zindagi Hai Aamanat Hazoor Aap Ki" (My life is a gift from you Satguru) written by Rev. Vivek Shauq Ji and originally sung by the Holy Sisters Samta, Renuka and Sudiksha Ji. 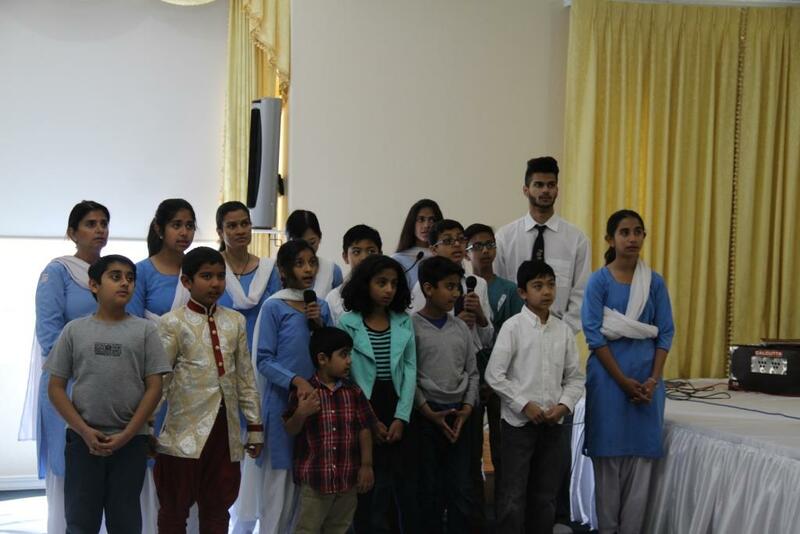 The young saints also presented projects, poems and presentations on this occasion. 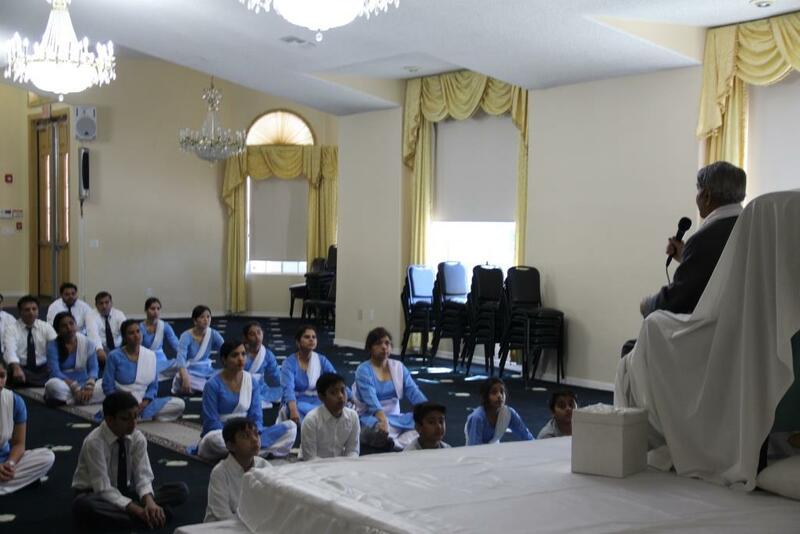 Young saints spoke about the greatness of the True Master and the message of Oneness. One young saint described the love of the true master, and the importance of patience by describing His Holiness as "Easy Going." Another young saint chronicled the life of His Holiness and explained the life of a True Master. One saint recited a quote from the book, "Gurdev Hardev" by Rev. J.R.D. Satyarthi Ji, explaining that God is always with us and he will always be with us. If we want permanent happiness (eternal bliss), then we will have to take the shelter of God because he is alone static and permanent". Another young saint read a short poem, titled "Our Satuguru", emphasizing how much His Holiness has given to us in our lives. "What do we give him, who has given his whole life to us? What do we say to him, whose words are guidelines for our actions? What do we wish for him, whose blessings are the longings of our soul? The youth also explained how Satguru lovingly and willingly gives us everything and does everything for us and may we be in ever gratitude towards Him. After the youth, the elder saints presented their views, reminding us to always forgive, not hold grudges and have love in our hearts. Saints joyous sang a geet in Honor of His Holiness birthday and everyone celebrated together. "Saints, you have been holding this Samagam in Delhi since about 12 years, where I have been receiving your blessings on my birthday. This time, however, I had indicated at the General Body Meeting during the Samagam in November that I may not be present in Delhi. I could be either in some other part of India or in some country outside. But as political leaders come and say that they would not allow the Samagam to be held outside Delhi, you also seem to have been praying silently the same thing for this Samagam. Recently, I visited some places in Punjab and J&K for 6 days. The first station got only 3 days’ time for preparations. Even then they made massive arrangements and devotees also reached with great enthusiasm. So, for today’s occasion also the intimation was given to the organizers only 4 days back. The law and order situation has also not been normal during these days. It seemed the devotees from Greater Delhi may not be able to reach here due to disturbances. It is, however, your love that has brought you all here. Until 2 years back, Rajmata Ji also used to be present. She made this occasion beautiful and enjoyable. She not only gave me birth but also taught at every step how to follow 'Gurmat', respect fellow disciples as well as others. She also emphasized the importance of Sewa and Satsang. In this way, I continued to receive her blessings for years. Today we do miss her physically, but we continue to feel her fragrance. Devotees still continue to be guided by the feelings of devotion she had. As regards love, Rajmata Ji used to say that it is mutual and not one way affair like the love of a red flagged partridge (Chakor) with moon, or the bee's love for flower. Here each is enamoured of the other. So, just as devotees express their love for me, I also have the same feeling for them. When I look back, I find that at the time of getting this responsibility in 1980, I was 26 while today I am 62. It means the digits have interchanged their place. And these glasses also tell something. During this journey from 26 to 62, I couldn't accomplish as much as I desired. But the faith and devotion of devotees is evident at every place. It is their love that brings them towards me and it is due to the same love that I cannot hold my steps. Here I recall a line from an old song that 'we possess the heart of a flame but live among moths'. Nobody knows who dies for whom. Similarly, a poet said – If you are in Spring, who is there in Autumn? In fact we have already got the vision to see the same spark of the same flame prevailing in every being. The voice of truth which was first raised by Baba Buta Singh Ji was carried forward by Shahenshah Baba Avtar Singh Ji and Baba Gurbachan Singh Ji who worked hard and made sacrifices to spread it further despite challenges or opposition from the world. Many joined this caravan and made contributions. Today we have come to a stage where this message of truth is being given continuously. While the world is erecting walls, creating fissures and distancing man from man, the Mission continues to endeavour to establish love, brotherhood and unity. We are inspiring people to share each other's pain and pleasure. For example, the devotees carried out cleanliness drive which included many hospitals across the country. They removed the garbage to save the patients from additional diseases. As the message from Railway Minister was read, devotees are already cleaning Railway Stations every month. In fact, this is a lesson for the citizens of the country to learn and an example for the world to follow. In fact, saints have always strived to remove the pollution whether prevailing in mind or in the environment outside. Today I received many cards. They were coming so fast that I could only glance through some of them. The messages were certainly written with deep feelings and innocence. One of the same said – Neither you speak, nor I listen, let the smiles communicate. So, may God bless every face with smiles. May you all live a happy life, fulfil your responsibilities and continue your devotion as well. Like devotees in Mumbai and other places, here also you have expressed your good wishes for Pujya Mata Ji's good health. May she enjoy good health so that devotees feel happy and she continues to serve the Mission." 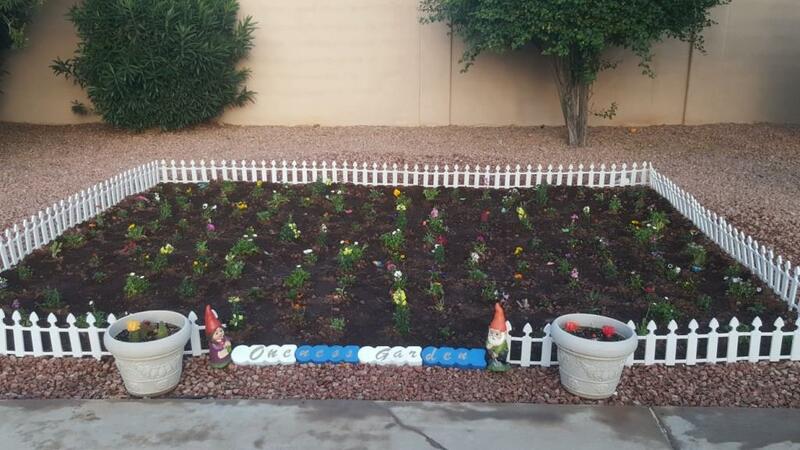 With the blessings of His Holiness Satguru Baba Hardev Singh Ji Maharaj, the youth of the Sant Nirankari Mission Phoenix Branch were given the divine opportunity to enhance the beauty of nature and promote the importance of environmental awareness by planting a garden on the premises of the local Bhawan. The youth selected and cleared a 12ft x 15ft area and proposed the name to be "The Oneness Garden". From lining the area with a picket fence to selecting all 204 flowers, the young saints mutually made the vital decisions needed to bring their foreseen garden into a reality. The Youth presented a video entitled "Our Oneness Garden" depicting their efforts.